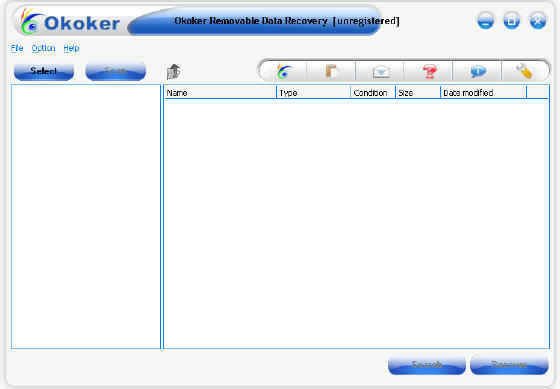 Power Data Recovery - recover data after accidental deletion or an accidental format , after FAT corruption,repartition (fdisk), an MBR corruption. Zune Music Recovery Software - Recover or restore music(aif, aac, mid, midi, mpa, wav and wma), mp3, mp4, pictures, video files and folders lost due to accidental deletion, corruption, formatting and improper handling of your zune digital music player. iPod Data Recovery Software - It helps you to recover and retrieve your lost Mp3 Music, Photo, video, pictures, songs, images, file, folders and all previously existing data on your iPod digital media player(iPod mini, nano, shuffle...). Power CD DVD Recovery - It can recover lost and deleted files from damaged, scratched or defective CD and DVD (CD-ROM, CD-R, CD-RW, DVD-ROM, DVD-R, DVD-RW, DVD+R, DVD+RW and DVD-RAM) discs and RW disk. Photo Recovery Genius - Recover *.tif, *.tiff, DWG, GIF, JPG, PNG, PSD, CDR, PSP, PCX, BMP, AVI, MP3, WAV, WMF, EMF photos and video from digital cameras, hard drives, CD/DVD disks, mobile phones, flash cards. Photo Recovery Wizard - Allow you to recover lost, deleted, corrupted or even formatted files or Jpeg, Gif, Bmp and Tiff images from your camera, pc or memory card. AltDataRecovery - Recover deleted files, lost data and formatted partition data from hard drivedigital camera storage card, USB Driveand other storage devices. EaseUs DataRecoveryWizard - View and restore deleted files and folders; recover data from formatted, reformatted, corrupted and damaged NTFS and FAT hard drives and partitions. RecoverPlus Photo Recovery - Restore your lost and deleted photo's or files on drives or any removable media or digital camera, even after a (re)format. Spotmau Data Recovery - This package includes three tools: Data Transfer, Unformat, Undelete. It recover/transfer your important data when your Windows was crashed or the hard disk was formatted/damaged. 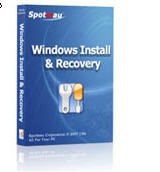 Spotmau Windows Install & Recovery - It utility will recover your corrupt Windows, registry, and partition table. 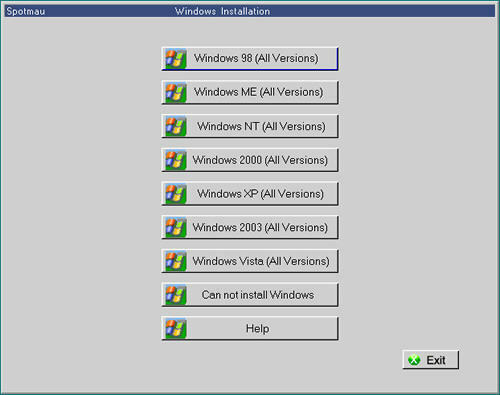 It utility can also help PC beginners easily install any Windows. PHOTORECOVERY for Mac - PHOTORECOVERY® was developed as an easy to use application that was designed to recover images, movies, and sound files from all types of Digital Media. DiskInternals Flash Recovery 1.5 - Restore all corrupted and deleted photographs or the ones lost due to hardware malfunction. FILERECOVERY Pro 3.2 - Scan and find lost partitions, boot sectors and other file system components, and can detect drives even if they are not visible in explorer. DiskInternals CD&DVD Recovery 1.2 - Recover data, pictures, video, music, and processes both ISO 9660 and Joliet file systems, from CDs and DVDs, including multi-session ones. FileRecoveryAngel 1.13 - Recover files that caused by accidentally deleted, emptied from Recycle Bin, system crash, virus damage or disk formatted. Flash File Recovery 1.5 - A data recovery tool for various flash cards like SmartMedia , CompactFlash, Memory Stick, MicroDrive, PC Card, Multimedia Card, Secure Digital Card, etc. Handy Recovery 2.0 - Recover files damaged by virus attacks, power failures and software faults or files from deleted and formatted partitions. Partition Table Doctor 3.0 - Recover your data if the partition table, or boot sector on hard disk is lost or damaged, creating an emergency floppy disk or a bootable CD to recover the bad partition. PhotoOne Recovery 2.0 - Recover deleted, formatted and lost digital photos, images and pictures from almost any types of media cards or storage used by digital cameras. Recover - Drive & Data Recovery v1.5 - Recover your important files, such as Word/Excel Documents, Database files and other files even Mp3s & MPGs that were accidentally deleted through Recycle Bin. URGENTRECOVERY PRO 3.2 - Recover lost and deleted files from all types of media, and can detect drives even if they are not visible in explorer. Recover My Files 3.80 - Recover deleted files that were emptied from the Recycle Bin, or lost in a hard disk crash, recover formatted hard drives, documents, photos, video music & email, and so on. FILERECOVERY for Windows 3.2 - Recover deleted files from all types of media such as Hard Drives, Floppy Drives, SmartMedia, CompactFlash, Memory Sticks, etc. FILExtinguisher for Windows 1.2.2.7 - Completely delete what you really want to delete, offerring 14 levels of delete methods from a very fast zero-write to extremely high security NATO level data wiping. RescuePRO File Recovery Utility for Windows PC v3.0 - Recover anything like images, documents, mail, video, music from SmartMedia, CompactFlash, MMC, Memory Stick, Microdrive, DVD, etc. Intelli-SMART v3.0 - Based on the Self Monitoring, Analysis and Reporting Technology Specification, Intelli-SMART drive monitoring and failure prediction to monitor your hard drives efficiently. 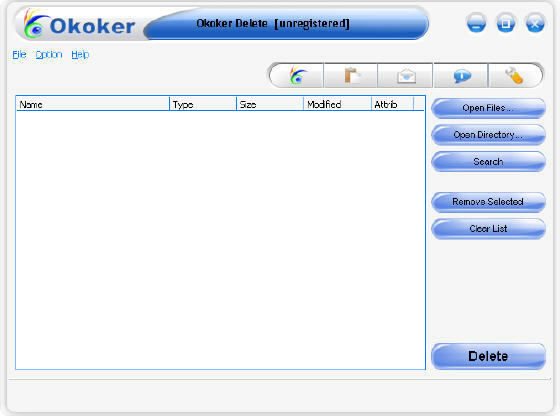 Flobo CHK Recovery 2.1 - It helps you as it reads each file and determines its file type. And it is able to rename the files i.e. File0001.xls, File0002.doc etc. so that you can look at the files and use them.